Have a customer with a complex transaction history with intermingled credits, refunds, payments etc? 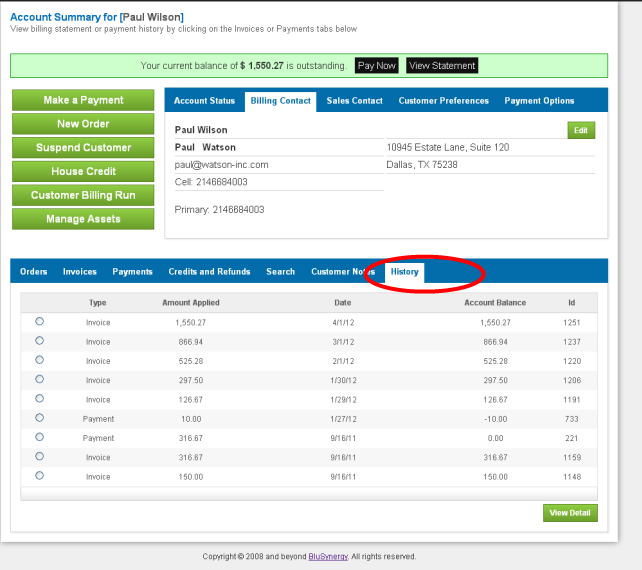 The History tab on the Customer Accounts screen will allow you to see all transactions related to the customer in a chronological sequence.This is available on the Customer Account Summary Screen. Only entries that impact the Customer's accounting will be reflected.